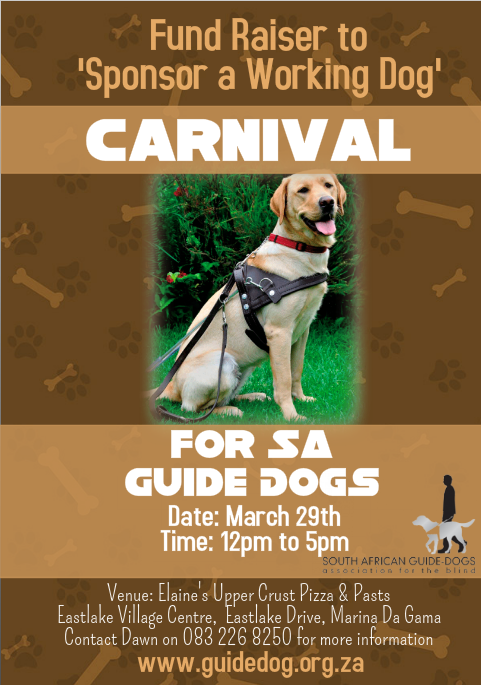 Join the Fund Raising Carnival in support of working guide dogs. A market will be available with food and drinks, entertainment and bric a brac stalls. Balloon modeling and face-painting will be available for the children. For more information contact Dawn on 083 226 8250 or email dawn@seagull.co.za.